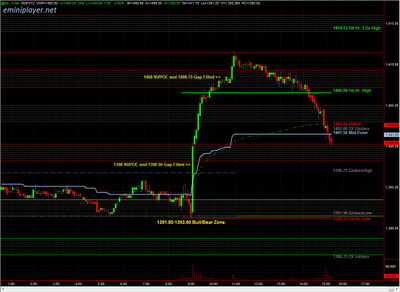 From today's EMiniPlayer.net Trade Plan: Overnight, ES balanced within yesterday's range. 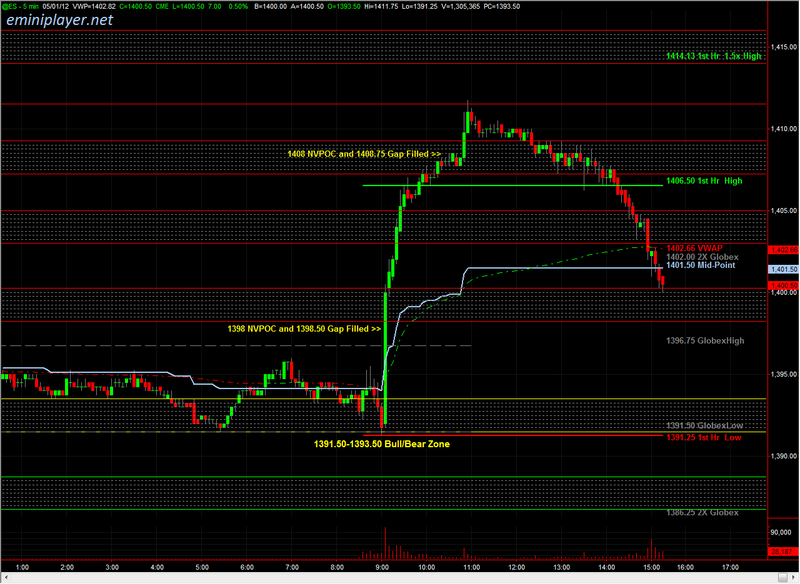 Heading into the day session, we'll be using 1391.50-1393.50 as the Micro Bull/Bear Zone to establish directional bias. Holding above 1391.50-1393.50 would bring the NVPOC at 1398 and the Open Gap at 1398.50 into play...Today is a holiday in Europe, which could lead to lower volume and reduced volatility in the U.S. equity markets, resulting in a relatively Balanced session with Buyers active at Support and Sellers active at Resistance. The primary economic catalyst today is the ISM Mfg Index at 9:00 AM (CT). Use the Opening Range and 1391.50-1393.50 to determine which side is in Control.